Hydrogen Bonding: What is Hydrogen bonding and its types? A hydrogen bonding is a special type of dipole-dipole attraction which occurs when a hydrogen atom bonded to a strongly electronegative atom exists in the vicinity of another electronegative atom with a lone pair of electrons. These bonds are generally stronger than ordinary dipole-dipole and dispersion forces, but weaker than true covalent and ionic bonds. Without hydrogen, bonding earth would have no water cycle, no ocean, no floating ice, no life as we know it. Why is hydrogen bonding important to life? 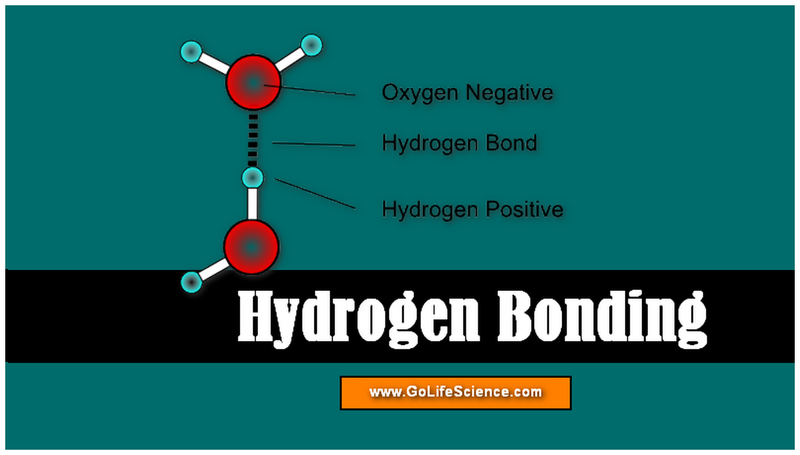 Why is hydrogen bonding in water important to life? In order for a hydrogen bond to occur, there must be both a hydrogen donor and an acceptor present. The donor in a hydrogen bond is the atom to which the hydrogen atom participating in the hydrogen bond is covalently bonded, and is usually a strongly electronegative atom such as N, O, or F. The hydrogen acceptor is the neighboring electronegative ion or molecule and must possess a lone-pair electron in order to form a hydrogen bond. Since the hydrogen donor is strongly electronegative, it pulls the covalently bonded electron pair closer to its nucleus, and away from the hydrogen atom. The hydrogen atom is then left with a partial positive charge, creating a dipole-dipole attraction between the hydrogen atom bonded to the donor, and the lone electron pair on the acceptor. A hydrogen bond is the electrostatic attraction between two polar groups that occurs when a hydrogen (H) atom covalently bound to a highly electronegative atom such as nitrogen (N), oxygen (O), or fluorine (F) experiences the electrostatic field of another highly electronegative atom nearby. Hydrogen bonds can occur within one single molecule, between two like molecules, or between two, unlike molecules. Intramolecular hydrogen bonds are those which occur within one single molecule. This occurs when two functional groups of a molecule can form hydrogen bonds with each other. In order for this to happen, both a hydrogen donor and acceptor must be present within one molecule, and they must be within close proximity of each other in the molecule. For example, intramolecular hydrogen bonding occurs in ethylene glycol (C2H4(OH)2) between its two hydroxyl groups due to the molecular geometry. Intermolecular hydrogen bonds occur between separate molecules in a substance. They can occur between any number of like or unlike molecules as long as hydrogen donors and acceptors are present an in positions in which they can interact. For example, intermolecular hydrogen bonds can occur between NH3 molecules alone, between H2O molecules alone, or between NH3 and H2O molecules. When we consider the boiling points of molecules, we usually expect molecules with larger molar masses to have higher normal boiling points than molecules with smaller molar masses. This, without taking hydrogen bonds into account, is due to greater dispersion forces. Larger molecules have more space for electron distribution and thus more possibilities for an instantaneous dipole moment. However, when we consider the table below, we see that this is not always the case. We see that H2O, HF, and NH3 each have higher boiling points than the same compound formed between hydrogen and the next element moving down its respective group, indicating that the former has greater intermolecular forces. This is because of H2O, HF, and NH3 all exhibit hydrogen bonding, whereas the others do not. Furthermore, H2O has a smaller molar mass than HF but partakes in more hydrogen bonds per molecule, so its boiling point is consequently higher. The same effect that is seen on boiling point as a result of hydrogen bonding can also be observed in the viscosity of certain substances. Those substances which are capable of forming hydrogen bonds tend to have a higher viscosity than those that do not. Substances which have the possibility for multiple hydrogen bonds exhibit even higher viscosity. The size of donors and acceptors can also affect the ability to hydrogen bond. This can account for the relatively low ability of Cl to form hydrogen bonds. When the radii of two atoms differ greatly or are large, their nuclei cannot achieve close proximity when they interact, resulting in the weak interaction. Hydrogen bonding plays a crucial role in many biological processes and can account for many natural phenomena such as the unusual properties of water. In addition to being present in water, hydrogen bonding is also important in the water transport system of plants, secondary and tertiary protein structure, and DNA base pairing. The cohesion-adhesion theory of transport in vascular plants uses hydrogen bonding to explain many key components of water movement through the plant’s xylem and other vessels. Within a vessel, water molecules hydrogen bond not only to each other but also to the cellulose chain which comprises the wall of plant cells. This creates a sort of capillary tube which allows for capillary action to occur since the vessel is relatively small. This mechanism allows plants to pull water up into their roots. Furthermore, hydrogen bonding can create a long chain of water molecules which can overcome the force of gravity and travel up to the high altitudes of leaves. Hydrogen bonding is present abundantly in the secondary structure of proteins, and also sparingly in tertiary conformation. The secondary structure of a protein involves interactions (mainly hydrogen bonds) between neighboring polypeptide backbones which contain Nitrogen-Hydrogen bonded pairs and oxygen atoms. Since both N and O are strongly electronegative, the hydrogen atoms bonded to nitrogen in one polypeptide backbone can hydrogen bond to the oxygen atoms in another chain and vice-versa. Though they are relatively weak, these bonds offer great stability to secondary protein structure because they repeat a great number of times. In tertiary protein structure, interactions are primarily between functional R groups of a polypeptide chain; one such interaction is called a hydrophobic interaction. These interactions occur because of hydrogen bonding between water molecules around the hydrophobic and further reinforce confirmation. What is Glycolysis? Explain the Phases of Glycose oxidative pathway at cellular levels? 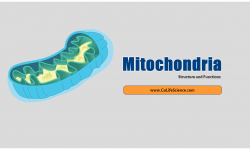 What are the key structures and functions of the Mitochondria?